Some of the best puppers and doggos the gaming realm has to offer. We’re celebrating the start of the Chinese New Year, the Year of the Dog, and we certainly aren’t alone. On Twitter, The Last of Us: Part 2 writer and director Neil Druckmann recently decided to post up a picture with his beloved doggo wearing what appears to be mo-cap gear. This sparked endless excitement from fans, who speculate that the post means we’ll be able to encounter an adorable four-legged friend in The Last of Us: Part 2. 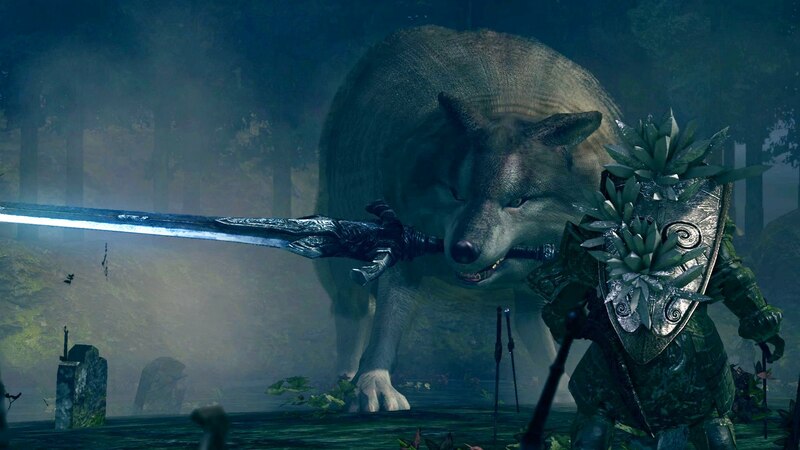 If so, we hope our new canine companion fares better than some of our companions from the first game, that’s for certain. To commemorate the Year of the Dog and possible inclusion of a canine companion in The Last of Us: Part 2, we’re taking a look back at some of the good dogs in video games! Warning: Some of these mentions include spoilers. We’re kicking this list off with a canine that’s technically not our companion, yet still serves as a shining example of what a “good dog” should be. Sif’s backstory is unbelievably tragic, having been the former companion of Sir Artorias, the Abysswalker. During a particularly dangerous quest, the darkness of the Abyss wound up being too much for Artorias. Before succumbing, Artorias made sure to save his buddy Sif, all while Sif looked on in horror. This resulted in Sif being left all alone, guarding the grave of Artorias and vowing to protect others from meeting the same terrible fate. When you encounter Sif in Darkroot Garden he blocks your way, forcing you to battle with him in order to progress.